I just finished Steven Saylor's new book Roma: The Novel of Ancient Rome. I found this story of how Rome became Rome an interesting and compelling read. It features the exploits of the descendants of two of Rome's first families, the Potitii and Pinarii, woven into the fabric of the ancient history of Rome. The history extends from its founding among the seven hills on the banks of the Tiber by salt and metal traders to its rise to global dominance led by Julius Caesar and his nephew Caesar Augustus . Saylor writes very much in the mode of Edward Rutherford, another writer of historical fiction whose books include London, Sarum, Russka and The Princes of Ireland. Author of the critically acclaimed Roma Sub Rosa series of historical mysteries, Saylor (The Judgment of Caesar) breaks out on an epic scale in this sprawling novel tracing Rome's extraordinary development over five centuries, as seen through the eyes of succeeding generations of one of its founding families. Skipping over several generations at a time, Saylor puts the Potitii family descendants at the side of Romulus and Remus at the official founding of the city; of Scipio Africanus during the Punic Wars; of the legendary reformers Tiberius and Gaius Gracchus during the turbulent second-century B.C. ; and of Julius and Augustus Caesar as the Republic ebbs into Empire. Solidly anchored in fact and vividly imagined, this long book moves at a sprightly clip and features some vibrant personages. One of the most memorable is Pinaria, a Vestal Virgin who loses her innocence to an enigmatic slave, and secondaries such as the deformed giant Cacus who terrorizes the early Roman settlement. Linked by blood and by a gold amulet (in the shape of a winged phallus) that is passed from generation to generation, the Potitii family gets to see some fascinating things. I just finished reading Francesco Da Mosto's history of his hometown Venice. The book is titled Francesco's Venice: The Dramatic History of the World's Most Beautiful City and it is a compelling combination of the history of the city interwoven with Da Mosto's family history all accentuated by beautiful photographs. Shakespeare may not have known it, but Othello, the "Moor of Venice," may have been a dark-skinned Sicilian named Francesco da Sessa nicknamed "il capitano Moro" (the Moorish captain). This is just one of the old tales and legends that da Mosto, a historian and lifelong resident of Venice, intertwines with historical facts in this beautifully illustrated volume. Historical details abound: here are listed, for example, the exact measurements of a Venice gondola, still built to dynastically determined precision. Da Mosto, who hosted the BBC program on which the book is based and is descended from a patrician Venetian family, is the reader's tour guide, highlighting Venice's rich aesthetic, from its origins as a fishing and farming community to its present-day incarnation as a cultural center and tourist mecca. Glorious photos, including those of St. Mark's Cathedral and the Sala del Maggior Consiglio, complement the engaging writing that includes diary entries and letters from da Mosto's family. But it's the fascinating stories of famous courtesans and Renaissance painters who rebelled against the Church that help da Mosto draw the complete picture of the extraordinary city he calls home. The book is an excellent primer for anyone planning a trip to La Serenissima. James Martin over at the very enjoyable and informative Wandering Italy blog did a review yesterday of a new travel guide devoted to exploring Tuscany, called Authentic Tuscany. Check it out here. 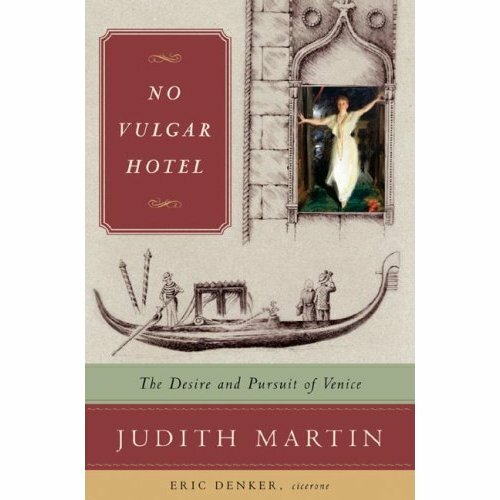 Judith Martin, the etiquette queen and long-time Venetophile, has written a new and unique guide to the city, No Vulgar Hotel: The Desire and Pursuit of Venice. It is not as much focused on what to see, but rather on the unique culture of the city and its inhabitants. Though she examines the social history of the city, being Miss Manners, she also provides substantial content focused on how visitors should behave themselves while in Venice. Martin also looks into the rich history of Venetian food and drink, art and party-going. Whether you buy her book or read her blog, Venice resident Nan McElroy is a source of great insight into the adventures of living or traveling in Italy. McElroy, after her first trip to Italy in 1995, was hooked for life. After several more visits she finally made the big decision and moved to Venice. An antidote to the hulking volumes that offer encyclopedic amounts of information on a locale, McElroy’s book is designed more along the lines of a operating manual. There are no suggestions for where to stay in Capri or how to see the Vatican in a day. Rather, this book enlightens readers on the how-to’s of traveling in Italy: when to go, how to get there, what to pack, how to read road signs, which class to ride in on a train, how to use Italian phones, what to order for an aperitivo and why the tabaccaio is a resourceful shop, even if you don’t smoke. For first-time visitors, it’s a boon. McElroy, who spends a few months a year in Italy, explains everything travelers need to know in order to blend in and enjoy their trip. Each chapter is color-coded for easy reference, and Italian vocabulary words augment every section. Her blog, Living Venice...and beyond, features Venetian recipes, informations on local art exhibits, and general musings about life in Venice. It will leave you dreaming of your next, or first, trip to La Serenissima, also known as Venice. During our time living in Italy, and during various trips back, we've tried out seemingly every travel guide out there. This post attempts to boil the field down to the ones we found most useful and which we believe are the best Italy travel guides. The first I'll mention is the old standard, Fodor's Italy. 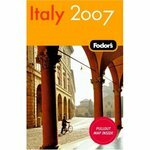 Of course, as you would expect, it has a wealth of information about what to do and see when you're in Italy and other valuable tips to make your journey to and through Italy more enjoyable. But what stood out for my wife and I were the restaurant recommendations. We would rely almost exclusively on Fodor's highlighted suggestions regarding great places to eat, from inexpensive and casual to more expensive and sophisticated. I can't remember once when we were disappointed. Also, as the book is updated every year, it is among the most accurate regarding all of its recommendations. 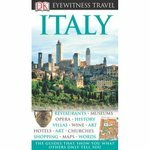 Another guide upon which we relied heavily during our travels was DK Eyewitness Travel's Italy. It's visual and descriptive format makes it a good companion while out seeing the major sites and attractions such as museums, galleries and architecture. The shortfall of this book, and the other major titles, is that it tends to run to the tried and true, rather than providing ideas for unique and interesting adventures off the beaten track. Also, it doesn't provide the quality and reliability of restaurant recommendations that Fodor's does. 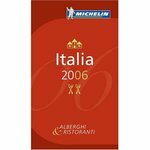 On that note, if your goals are epicurean in nature, you can't go wrong by packing the Michelin Red Guide Italia. It features a selection of the best hotels and restaurants in all comfort and price categories. Michelin supports its selection with five commitments which have been applied by the Guide and its inspectors for more than a century, since the first Michelin Guide France was published in August 1900. First, their inspectors make regular and anonymous visits to hotels and restaurants to gauge the quality of products and services offered to an ordinary customer. Second,the choice of establishments is completely independent, made for the benefit of the readers alone, and inclusion in the Guide is completely free of charge. Third, it covers a selection of the best hotels and restaurants in all comfort and price categories. Fourth, it is annually updated. And finally,the criteria for the classifications are the same for the 21 countries covered by the Guide, taking into account the different characteristics of each country. You will be assured to eat well if you follow the Michelin stars. 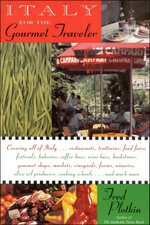 Continuing on the food front, a must have is Fred Plotkin's Italy for the Gourmet Traveler. With his extensive knowledge of and passion for Italy, Plotkin makes an excellent host to guide you through the nation's 22 regions, including the islands of Sicily and Sardenia, and each area's distinctive foods and wines. When he isn't traveling, Plotkin lectures and writes about things Italian and has penned The Authentic Pasta Book and Opera 101, a book highly recommended for those interested in a captivating crash course in opera. He uses his extensive knowledge to create a catalog of helpful restaurant reviews, recipes, a glossary of food terms, profiles of cities and their local histories, and anecdotes which add great color to a very useful guide. If you have plans to travel to Milan and/or Rome soon and would prefer not to stick out as a fanny-pack wearing, guide-book toting tourista, I recommend taking a look at these new city notebooks from Moleskine. Moleskine notebooks are touted to have been used for the past two centuries by artists and thinkers such as Van Gogh, Picasso and Ernest Hemingway. These pocket-size books held sketches, notes, stories and ideas before they were turned into famous images or pages of novels. They were originally produced by small French bookbinders who supplied Parisian stationery shops, but by the end of the twentieth century the Moleskine notebook was no longer available. In 1986, the last manufacturer of Moleskine, a family operation in Tours, closed its shutters forever. In 1998, a small Milanese publisher brought Moleskine back again. The new city notebooks are a good way to organize your trip and to preserve notes and commentary for your memory and your records. Each notebook has an elastic closure, 228 pages, with up to 44 pages in colours and have a sewn binding. There is an inside accordion pocket and three ribbon placemarkers, each in a different colour. The book's dimensions are 9 x 14 cm (3 ½ x 5 ½"). 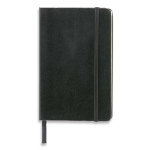 to write, jot down useful information, and record your thoughts, stories, and memories. It is a personal, 96-page archive, with 12 tabs in two series of 6, so that everything that matters most is at your fingertips. The first 6 tabs are printed while the others are blank so you can personalize them with the enclosed adhesive labels. There are also 32 removable sheets for loose notes and for exchanging messages, as well as 12 translucent sticky sheets, to overlay and re-position, so that you can trace your route as you go.